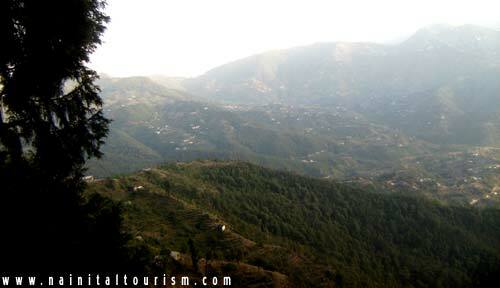 Ramgarh Is A Serene Hill Station Perched At An Altitude Of 1789 M Above The Sea Level On Bhowali - Mukteshwar Road. 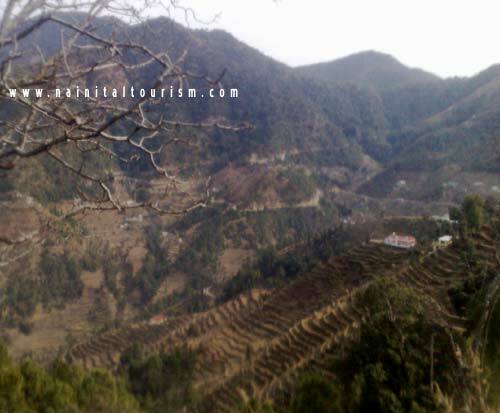 Ramgarh Is Located At A Distance Of 26 km From Nainital In Kumaon Division Of Uttaranchal. In Ramgarh You Can Visit Tagore Point, Which Is Where Noble Laureate Rabindra Nath Tagore Stayed (the House Is In Ruins Now). Not Too From The Tagore Point Is Devisthan (in Village Umagarh), The Summer Home Of Late Poet Mahadevi Verma. Ramgarh Is Also Known As The "Fruit Bowl Of Kumaon" owing To Its Verdant Orchards Of Peach, Apricots, Pears & Apples. 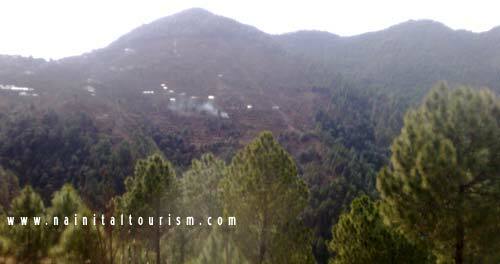 Ramgarh Comprises Two Parts - Malla Ramgarh, Located On An Elevation And Talla Ramgarh, Located Downhill. Ramgarh Is Known For Orchards Of A Variety Of Himalayan Fruits like Apples, Apricots, And Peaches. Ramgarh Is A Small Hill Station And Tourist Destination On The Way To Mukteshwar In Nainital District Of Uttarakhand, India. This Place Is Rich In Orchards. 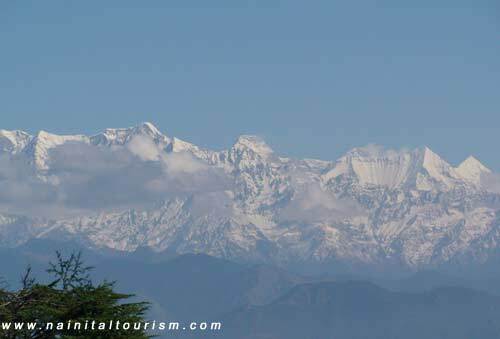 An Unobstructed View Of The Snow-capped Ranges Of The Himalayas From This Place Can Be Seen. The Place Was Once The Cantonment Of The English Army. The Famous Poets Rabindra Nath Tagore And Social Worker Narain Swami Had Established Their Ashrams Over Here. There Is Also A Library Dedicated To Famous Writer Mahadevi Varma, Who Got The Idea Of Writing Lachma, The Famous Story, In Ramgarh. Ramgarh Known For Its Orchards Of Plums, Apples, Peaches And Apricots, It Was Once Home To The English Army. In The Foothills Of The Himalayas, The Old Bungalow- 1830, And The Writers' Bungalow -1860, Are Located In The Fruit Basket Of The Kumaon Region. These Heritage Structures Once Housed The British And Indian Officers As Well As Their Wives Who Travelled On Horseback And Palanquins. Ramgarh Is Located At 29.45° N 79.55° E. It Has An Average Elevation Of 1,518 Metres (4,980 Feet). The Altitude Ranges From 1,400 Metres In The Talla (Lower) Ramgarh Valley To 1,900 Metres In Malla (Upper) Ramgarh. The East-West Ridge Above Malla Ramgarh Has An Elevation Of 2000-2350 Metres. Jungle Walks, Trekking, And Bird Watching. Ramgarh Is An Idyllic Place For Leisurely Holidays In Peace And Tranquility With Pleasant Weather Conditions. 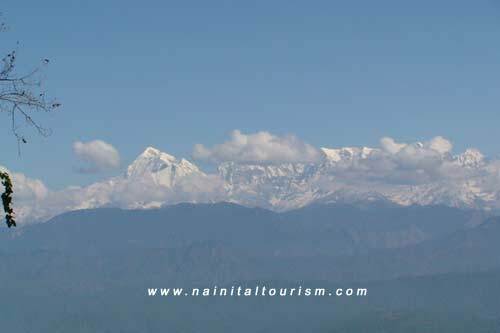 You Can Have The Unobstructed View Of The Snow-capped Ranges Of The Himalayas From This Hill Station. Ramgarh Is Perfect Place For The Nature Lovers, As You Can Gaze At The Star-lit Sky, Marvel At The Sunrise And Sunset, Admire The Beauty Of The Mighty Himalayas And Taste The Himalayan Fruits. Ramgarh Was Once The Cantonment Of The English Army. All India Research Center For Animal Treatment Is Also Situated Here. The Famous Poets Rabindra Nath Tagore And Narain Swami Had Established Their Ashrams Over Here. Mahadevi Verma Also Visited The Hill Station Of Ramgarh. Rabindra Nath Tagore Had Composed Some Of His Compositions At Ramgarh. 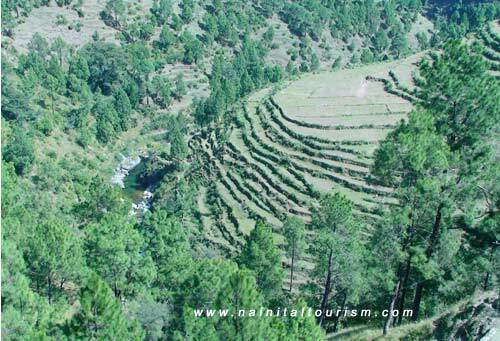 From Ramgarh, You Can Go On Excursion Tours To Nainital, Mukteshwar, Bhimtal, Ranikhet And Almora. One Can Get A Glimpse Of The Himalayas In One Direction, The Forests Of The ‘Tarai’ Region In The Other, The Terraced Fields And The Village Houses In Yet Another Direction. You Can Visit Ramgarh By Taxi Or By Tours & Travel Packages. Nainital Tourism offers Transport & Online Booking For Various Hotels & Resorts in Ramgarh.